It's tough being Lance Stroll - the young Williams driver made his debut with the team last season, and despite a rocky rookie season, he shocked the paddock by becoming the only driver outside of the top-3 teams to claim a podium. However, this season has been tougher - the Williams car is not competitive and the team is struggling to even finish in the points. Adding complexity to Stroll's position is the fact that his father, Canadian businessman Lawrence Stroll, is leading a consortium that has just purchased the Force India team. If the jibes that Lance was a ‘paid driver’ weren’t enough, naysayers are now questioning whether the senior Stroll is buying his son a more permanent foothold in Formula 1. Given this situation, Stroll bears the added burden of constantly performing to prove critics wrong - and every mistake brings daunting questions about whether he deserves the racing seat. Amidst all the pressure and criticism, Stroll tells Firstpost that he lets his results do the talking, on the eve of Belgian Grand Prix. The 19-year-old has found success in junior racing, but unfortunately, that isn’t quite enough. 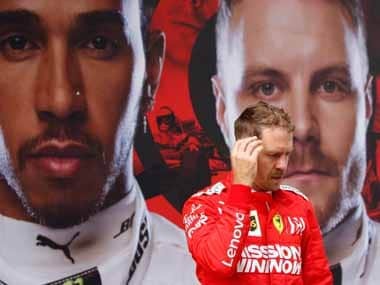 The Formula 1 paddock can be unforgiving - and he will have to work doubly hard to shed his image of a ‘crash kid’ who just got lucky. 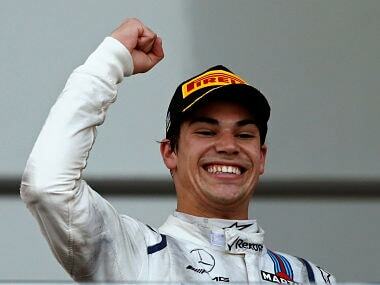 On that note, over to Lance Stroll. How does it feel to represent Canada in Formula 1? I am very proud to represent Canada in Formula 1. There hasn’t been a Canadian driving in Formula 1 for a long time - the Villeneuves are the only Canadian drivers to stand on the podium. I have come a long way from karting in Canada - I started when I was very young and then moved to Europe. To finally be here and hold the Canadian flag, it’s very special and I feel proud. Do you have a sizeable fan following in your country? When I go to Canada for the Grand Prix, it’s always emotional and special with so many fans. Last year, I scored my first points at home (9th place) and after the race, I did a bit of crowd surfing. That’s all great energy! While growing through your career, any drivers you idolised? Was Jacques Villeneuve one of them? In terms of the Canadian drivers, the Villeneuves were before my times. I grew up with Michael Schumacher in Formula 1. Jacques Villeneuve makes some rather critical statements about you from time to time. Does his criticism surprise you anymore? Not really, I can’t say it surprises me. It is understandable that drivers criticise me in some ways. It’s easy to blame me for a lot of things or criticise me in many ways. However, what I do is just present the facts to people. I present the facts that I won all the junior categories leading up to Formula 1 that I have competed in (Formula 4, Formula 3, European Championship where I scored by super licence points to get into Formula 1). I demonstrated in Formula 1 that I am capable of being here with the season I had last year - I scored 40 World Championship points. I finished a couple of points and one position behind my teammate. Also, I finished on the podium and started on the front row. This year, we’ve had a lot of difficulty with the car but so far I’ve scored 100 per cent of the team’s points. So that’s what I say to people who criticise me. Sometimes the mid-field stories end up being missed out in mainstream coverage - any specific races that stood out for you? Baku (Azerbaijan) this year was a super race, also Spain and China were great races. 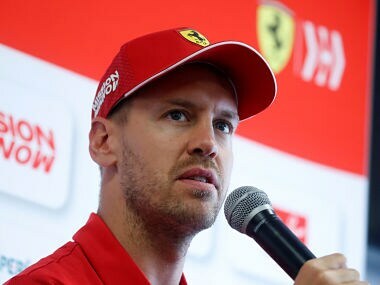 Even though I’ve been in the shadow, back in 11th or 13th place or whatever, I still felt that some of those races were better than races I drove to finish on the podium in Baku last season. We’re aware of the Force India connections and that you could possibly drive for them in 2019. Your thoughts? My father saw a good financial opportunity so he invested in the team that he believes can grow. And he’s a businessman, (so) that's what he does. He has a passion for Formula 1, he saved 400 jobs which is a positive already, and that’s his thing. For me here at Williams, my job remains the same. I am here this weekend and I am focussed on what I have to do - that’s how it’s been for the last year and a half. Nothing changes for the moment and we will see what the future holds. Who would you choose as your team-mate? There’s a lot of political things involved with that and it’s not really my decision - I just drive the car. For my father, for Force India, the technical group of people decides. It’s nothing to do with me. 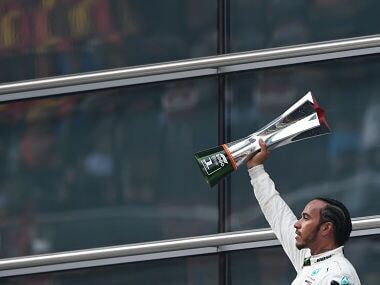 What’s your goal in Formula 1? I want to be the best I can be. I want to try and achieve as much as I can throughout my career. Like every driver in the paddock, the dream is to first go for victories and try to win championships. I don’t think anyone should be in Formula 1 if that’s not their dream. Clearly, a mid-field team might not be capable of helping you with those goals, do you dream of driving for a top team one day? Yes of course. I’d drive for the team leading the championship - Mercedes! Given the busy racing weekends, do you get to follow the Hamilton vs. Vettel battle? Not at all - I know what happens in qualifying and the race, but in say free practice - I can’t tell you who is the quicker driver. It’s normal, when you are driving, your focus is on what you are doing and I am here to get the most out of myself and the car and the rest is not any of my business. But still, I respect it and I am all in for competition. I am glad that there is competition in the sport - a Mercedes driver fighting a Ferrari one. Hopefully, in the future, we can see more teams having that opportunity to fight with the big teams. Now that your dad owns a team, could team management be a step for you in the future? No, not really right now. I am just focussed on my driving - I have a lot of other passions in life that I would love to pursue. But never say never. I am living in the present just now. My stance is about optimising my presence right now, which is as a driver in Formula 1. Stroll tried hard to disassociate himself from his father’s investments in Force India (now known as Racing Point Force India). 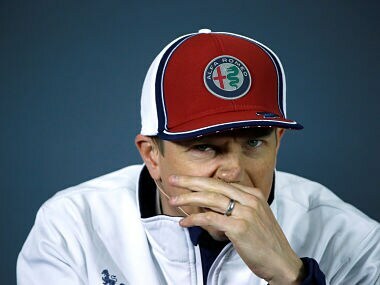 However, it would only be a matter of time before he would jump into the faster racing cars of Force India. The question primarily is ‘when’ and not ‘if’. Irrespective, from Williams to Force India would be a jump from one mid-field team to another. There is a lot of interest about the announcement regarding his drive in 2019 - which also has implications on the existing lineups at Force India, Williams and even Mclaren. While we steer clear of speculation, a move from Stroll could potentially open up a window for Robert Kubica to make a comeback. Either way, it’s safe to say that the surprising silly season is far from over. It’s also going to be interesting to track Stroll’s career in Formula 1 and how he managed to build himself up to a cockpit at one of the front-running teams if he manages to get there. One thing's for sure - we will be seeing and hearing a lot about the Strolls in the Formula 1 paddock for the time to come.